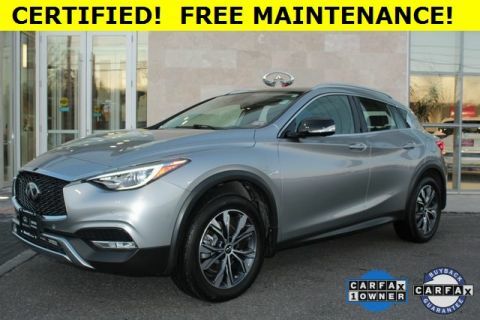 INFINITI QX30 Premium - TECH PKG - CAFE TEAK - LED PKG - ROOF - LEATHER Certified. 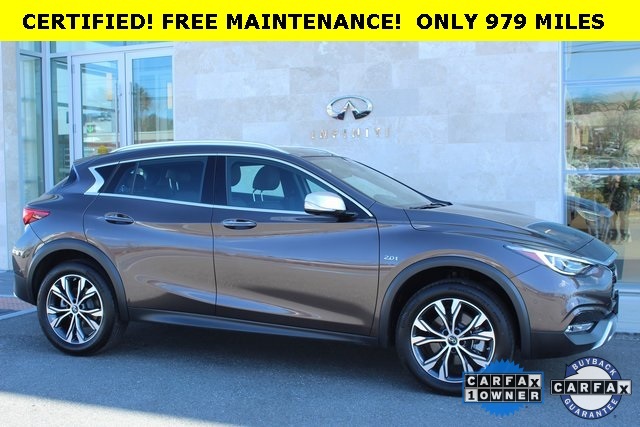 2018 Chestnut Bronze 2.0L I4 DOHC Turbocharged Clean CARFAX. 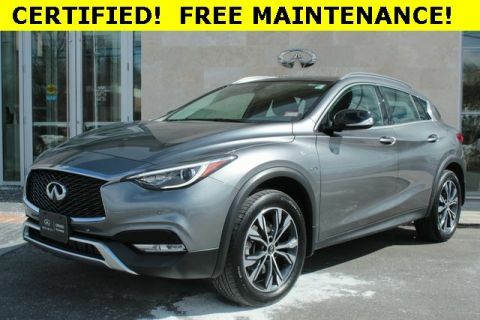 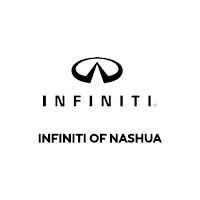 **ONLINE PRICING INCLUDES FINANCING THROUGH IFS AT STANDARD RATES**, *1 OWNER CLEAN CARFAX, **AWD**, NAVIGATION, **BLUETOOTH*** ***HANDS FREE***, ***MOONROOF***, **LEATHER SEATING**, **HEATED SEATS**, **HEATED STEERING WHEEL**, HEAT PACKAGE, **TECH PACKAGE**, 10 Speakers, Active Front Lighting System, Air Conditioning, AM/FM radio: SiriusXM, Around View Monitor, Automatic temperature control, Black Suede-Like Headliner and A-Pillar, Blind Spot Warning, Brown Leatherette Console & Door Trim, Cafe Teak Theme Package, CD player, Color Center Meter Display, Enhanced LED Interior Ambient Lighting, Forward Emergency Braking, Front & Rear Parking Sensors, Front dual zone A/C, Genuine Wood Trim on Center Stack & Door Handles, High Beam Assist, INFINITI InTouch Navigation System, Intelligent Cruise Control, Intelligent Park Assist, LED Headlamps, LED Package, Navigation Package, Navigation System, Power driver seat, Power steering, Radio data system, Radio: Bose 10-Speaker Premium Audio System, Rear window defroster, Satin Silver Mirror Caps, Technology Package. 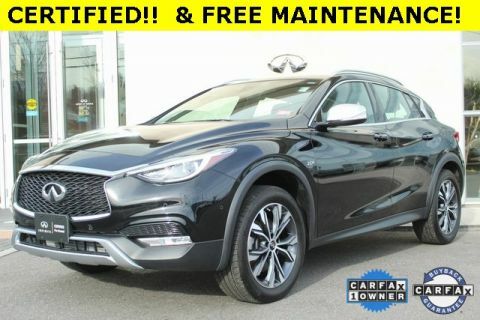 Odometer is 6640 miles below market average!